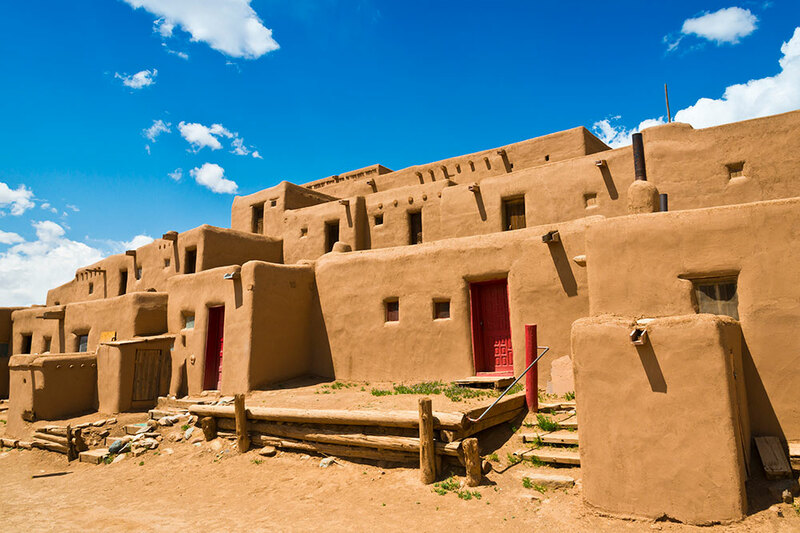 Eight of the 19 pueblos in New Mexico are located between Santa Fe and Taos. 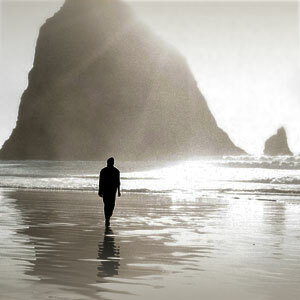 Some are closed to outsiders, and those that are open to visitors have strict sets of rules. The three pueblos we visited had a similar design of low-roofed adobe homes, arrayed around a central plaza and an adjacent kiva (circular ceremonial structure). Tribal identity and the flavor of ancient times have not been lost. The Pueblo Indians can be a little distant, but they are clearly proud of their artistic traditions and way of life. Until around 1550, more than 1,500 Pueblo Indians lived in the Santa Clara Canyon, in what is now known as the Puye Cliff Dwellings. They were forced to leave because of drought, moving closer to the Rio Grande Valley, south of the town of Española. 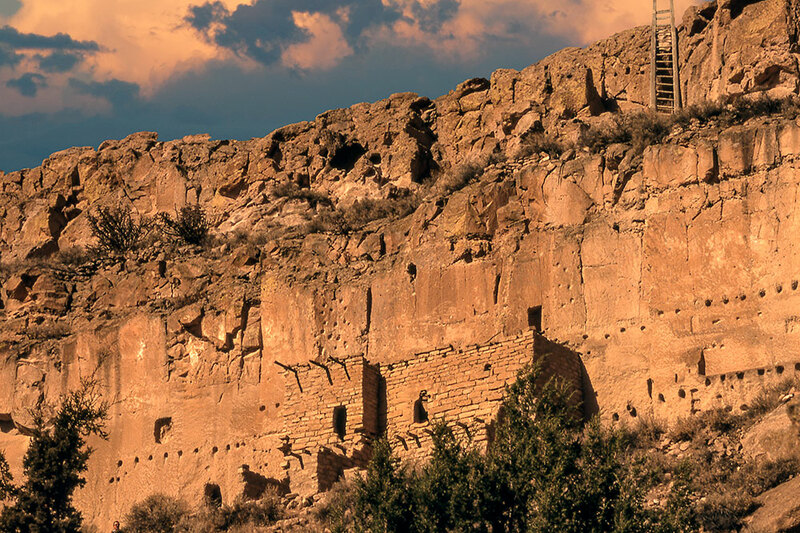 Though you can visit the current pueblo, it is the Puye Cliff Dwellings that is the more interesting site to tour. The original homes were simply caves hollowed into the cliff face. Narrow paths and crude ladders provided access to the mesa top, where a kiva and complex community structures were built around a central plaza. Opt for the Mesa Top Tour, which leads you up to the mesa, from where you climb down to the cave dwellings. This tour is not ideal for those afraid of heights or for people with mobility issues. The Picuris Pueblo, located in a hidden valley, is one of the smallest pueblos in New Mexico with fewer than 100 residents. The high elevation and physical isolation meant it was one of the last to be discovered by the Spaniards in 1519. The inhabitants are experts at making micaceous pottery, which is sold at the Hotel Santa Fe, southwest of the main plaza in Santa Fe, of which the Picuris are majority owners. Few tourists make it out to Picuris Pueblo, which has kept the tribal identity of its people relatively intact. Although we’d chosen the self-guided tour, we were greeted by one of the inhabitants, who offered to be our guide. He showed us the church, cemetery and central pueblo structures, while sharing fascinating lore of the region and the pueblo’s history. 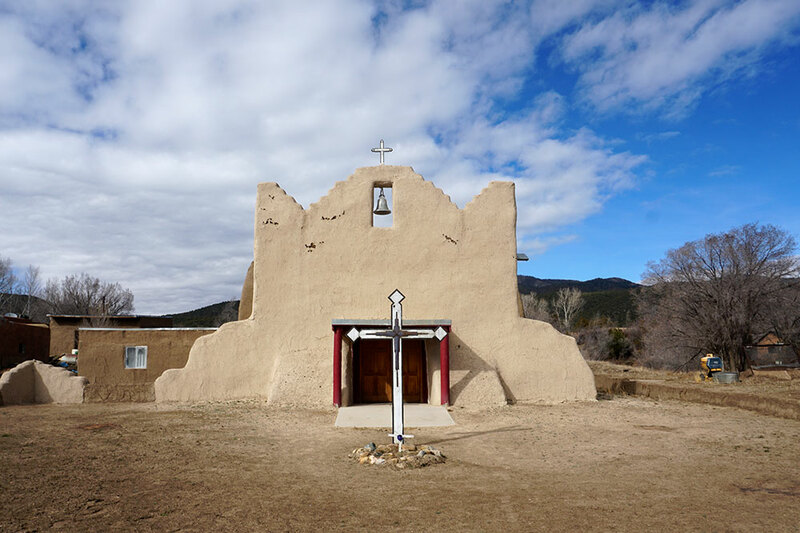 Less than 10 minutes from downtown, the Taos Pueblo was the seat of the 1680 Pueblo Revolt, an uprising of indigenous people against the Spanish colonial authorities. It is comprised of multistoried traditional buildings made of mud and straw and is surrounded by 20-foot-high adobe walls. A creek that flows from the sacred Blue Lake in the Sangre de Cristo Mountains separates the north and south sides of the complex. New Mexico’s best-known Indian pueblo, it has become a busy shopping destination, with tourists jostling to buy micaceous pottery, moccasins and drums made by the inhabitants. Despite the crowds, I love to visit the pueblo’s striking church with its twin bell towers and beautifully decorated altar, as well as to savor sopaipillas served straight out of traditional hornos (beehive ovens). The morning is the best time to visit.